The experience of pasta we make at our restaurant. It's simply better. It's something you're family will really enjoy. You can take home our pasta by the pound. Try all kinds of different shapes and sizes including our speciality pastas like spinach and roasted red pepper. 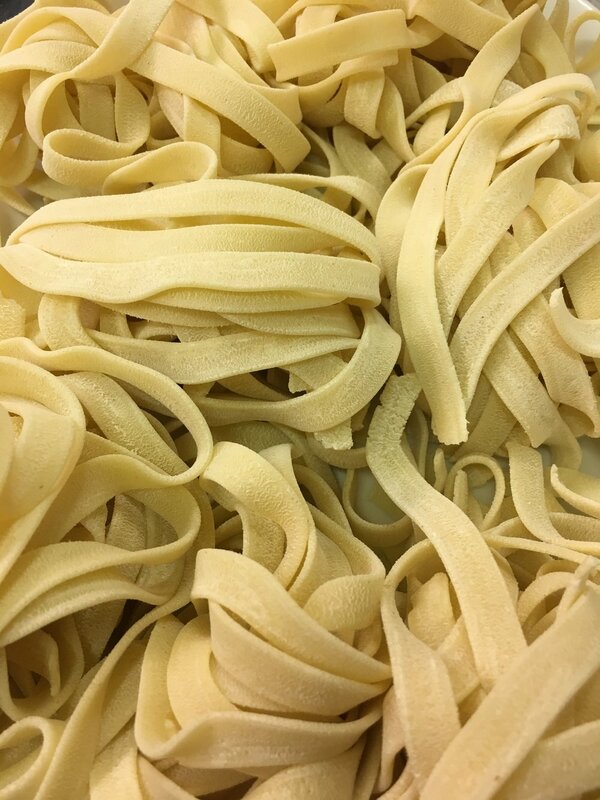 We have our house-made pasta available every week. Special pastas are flavored and colored with real food including roasted red peppers, spinach, cracked pepper, eggs, and other real ingredients - not artificial dies or flavors. Price per pound varies by ingredients.